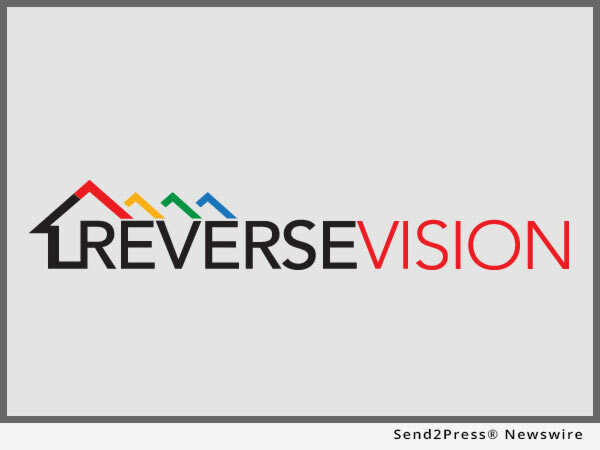 SAN DIEGO, Calif., May 17, 2016 (SEND2PRESS NEWSWIRE) — ReverseVision announced today that Concord Mortgage Group (Concord), a Westerville, Ohio-based full-service mortgage banker and division of NOIC, Inc. (NMLS# 121455), has chosen RV Exchange (RVX) as its reverse mortgage loan origination software (LOS). Concord offers home-equity conversion mortgages (HECM), commonly called reverse mortgages, to clients in eight states. Concord offers both the standard HECM and the HECM for Purchase, which allows qualified borrowers to use the equity from the sale of a previous residence to buy their next primary home and take out a reverse mortgage — all within a single transaction. Both HECM and HECM for Purchase are HUD-insured loans. As homeowners grow older, so do their homes. When it comes time for costly home repairs, some homeowners choose instead to sell their houses in favor of maintenance-free living in attached or detached condominiums. But, Weinstein observed, while a new condo may be considered a “downsize” in terms of square footage, these dwellings often cost more than borrowers expect. “A HECM for Purchase essentially allows the borrower to buy a new home and pay only 35 to 50 cents on the dollar up front — and then have no monthly mortgage payment,” Weinstein said. HECM loans only require the borrower to pay property taxes, insurance and, if applicable, homeowner association fees. RVX encompasses everything from point-of-sale, processing, underwriting, funding and post-closing to secondary marketing. This central exchange model is unique in the mortgage industry and offers benefits to all parties that include reduced document errors, heightened information security and shorter fulfillment timelines. Concord Mortgage Group is a full-service mortgage banker serving the needs of homebuyers throughout the state of Ohio and beyond. Since opening its doors in Toledo in 1926, NOIC, Inc. has grown to become a sound leader in the mortgage industry and is currently licensed to operate in nine states. Loan officers at Concord take a personalized approach with each client to ensure a streamlined and stress-free experience, earning Concord an A+ rating from the Better Business Bureau. Concord is also ranked in the top 3 for FHA lenders in the state of Ohio. For more information, visit http://concordmortgagegroup.com/.